Obviously Ray Ozzie gets this. 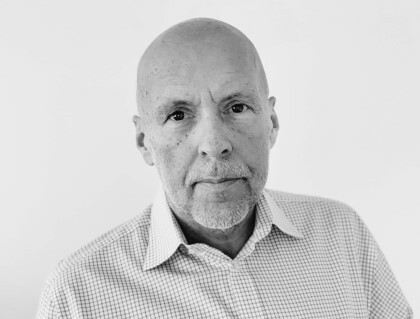 Why doesn't Steve Ballmer? During the first three years, the Gates years, you would not have done particularly well. But in the long run, you would have been fine. 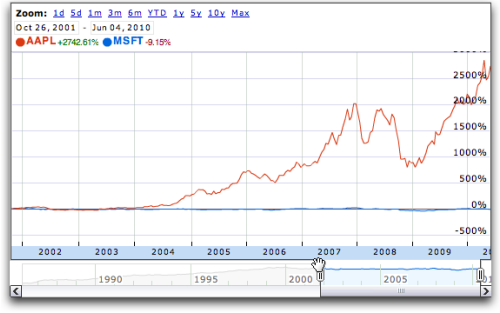 Your 10,000 MSFT would be 24,972 today, and your 10,000 AAPL would be a whopping 442,722, or a total of 467,694. That would have been much better than to keep your 20,000 MSFT, today worth 49,944. Your AAPL stock would be 284,261, and your MSFT stock 9,085, in total 293,346. 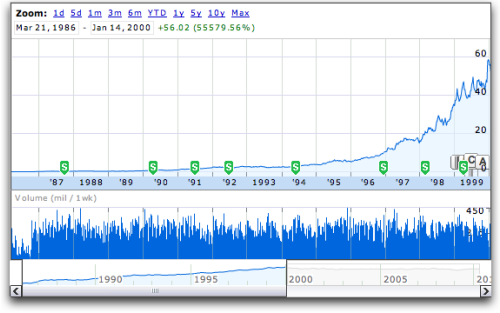 Again much better than if you kept your MSFT stock, now worth 18,170. 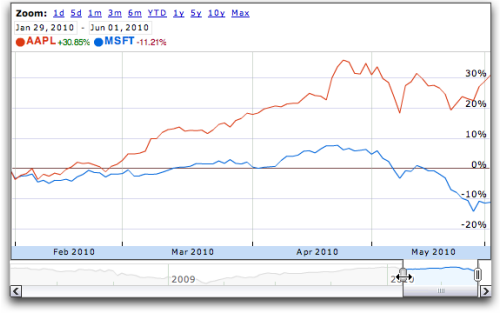 Three years later, your AAPL stock is 30,453, your MSFT is 9,475, for a total of 39,928. This is almost double your investment, but betting on two horses. Of course you could have bet on AAPL and triple it, but that's not the game. So you missed all three boats, but at the end of January, you finally caught up, when Jobs announced the iPad. 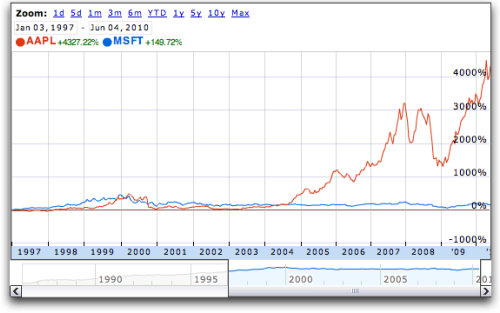 Your 10,000 invested in AAPL would now be 13,085, while your 10,000 in MSFT would be 8,879, or in total 21,964. That's a healthy +10% in half a year, instead of an 11% loss. Like so many others, just wish I'd had the conviction to go buy that AAPL stock even three years ago. Amazing stats, thanks for sharing. Did not look in to it too much. But one question that came up. 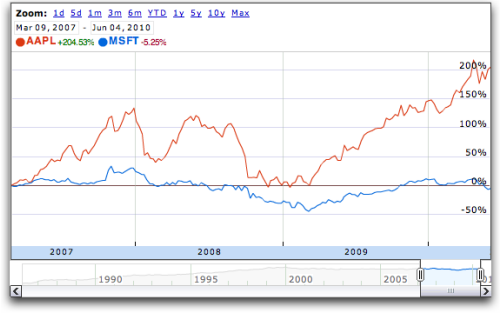 Was MSFT's stock price way more overhyped than AAPL's... in 1999? What were the underlying numbers like? 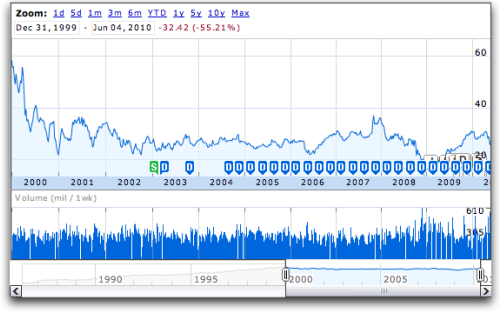 Was Ballmer able to grow revenue and / or profit?